Comprehensive deck cleaning, repair, and restoration. Deck crack repair; deck sheathing replacement. Drainage issue correction; flashing installation. Stucco patching and painting; wood siding replacement and painting. Install deck coating and waterproofing. Remove and replace damaged deck members; replace damaged structural deck framing. Repair hairline and cosmetic surface cracks. Replace rusted flashing; install additional flashing when needed. Replace damaged drywall and insulation beneath roof top decks which have suffered water damage. Perform stucco patching and painting services; replace damaged wood siding adjacent to the deck. We offer an extensive selection of beautiful and functional deck coating systems, and we can give your home or business's worn or weathered deck a whole new look. 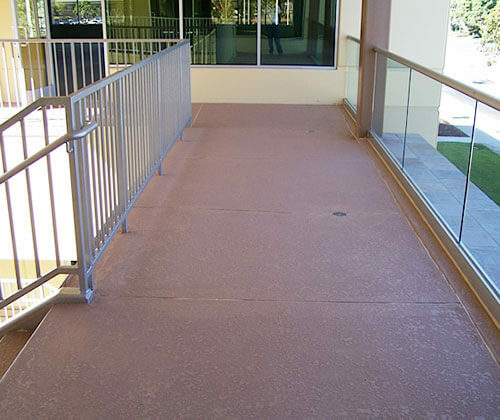 Our durable deck coatings are slip resistant and ADA (Americans with Disabilities Act) compliant, and are offered with excellent warranties. 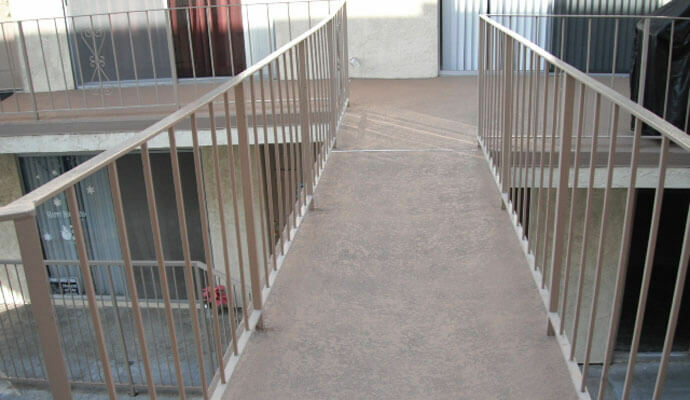 Rely upon Tuff Kote Systems for comprehensive deck repair and restoration services. We service all of Orange County and the greater Los Angeles region, and provide estimates throughout our service area. Contact us today. Our office hours are Monday through Friday, 8:00 am to 4:00 pm, and we accept Mastercard, Visa, American Express, and checks. Tuff Kote Systems is licensed, bonded, and insured.